SDL Innovate is great because it’s full of really smart people talking about their online strategies, what they’ve been doing, what they’ve learnt and what’s coming next. This year’s San Fran event is also a little more special as the folks at SDL have created two additional days dedicated to SDL Developers. • Bart Koopman – Discussing the SDL Reference Implementation (DXA). There’s some really cool tech underpinning the DXA, I’m really looking forward to this one. • Quirijn Slings – Talking about Dynamic Delivery For Tridion. With DD4T 2.0 recently released this is a mandatory presentation for anyone thinking of upgrading to the latest version. • Nick Roussakov – He’s going to be talking about the Ambient Data Framework and Context services. There’s some really amazing things you can do with the ADF and the various SDL modules. Nick loves to be heckled too. I’m also going to be presenting an hour slot about SmartTarget. I talk a lot about SmartTarget, so if you’ve heard me talk about it too much already, just come along to heckle me as well. This is a day open to all everyone at the conference to team up and build something together, with the outcomes being shared within the community. I will personally take advantage of this day as a way to work with others that I’ve not yet had the opportunity; other suppliers, clients and those down to get stuck into some code. We’re also going to be drag along a number of our team from Content Bloom in the hopes of resurrecting some of the many half finished fun developments that we never had the chance to complete. The most successful CX implementations are a perfect blend of marketing, data, strategy and technology so the perfect CX conference should also contain all of these aspects. 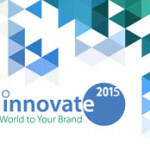 This year’s SDL Innovate is definitely going to be the CX conference worth attending. 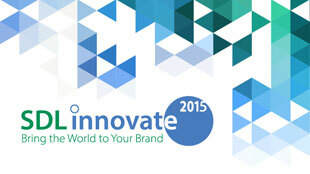 For more information about the SDL Innovate developer days in San Francisco, check out the Innovate website. This entry was posted in Tridion news and tagged cxm conference, innovate by John Winter. Bookmark the permalink.